The Rommel tank is a 65-ton armored combat vehicle, specializing in close range fighting and urban combat. It has great agility and speed. Rommel Howitzer known as (Thumper) is equipped with Long Tom Artillery Cannon which inflicts massive amounts of damage on the target and it's immediate surroundings. Armed with the close range punch of an AC20 the Rommel Prime is a brutal mid range fighter in the early game. The mobility and resilience of a 74km/h top speed and 10.5 tons of armor keep it in the fight against light and medium assets, though focused heavy fire will take it down before long. Its Thunderbolt-5 allows it to soften up targets as they close range before opening them up with the main gun. For back up damage and anti-infantry work, a pair of SBLs give the Rommel some security from being harassed by BA. 1 Free Ton allow the Prime to be less resupply reliant for the ammo hungry AC20, unlike the TBolt5 which should be used sparingly for backup. A LAMS system also takes some of the bite out of enemy missile barrages against it and allies. At only 62,500 C-Bills, the Rommel is an excellent upgrade from a light-mech in the early game before all of the enemy are able to field heavier assets. The "Howitzer", also known as a Thumper, is the only unit to carry the Thumper, a direct fire artillery piece. The unit must be anchored down [Left Ctrl] to fire like a Mobile Long Tom, but it can scoot about much more readily when undeployed, and can change states very quickly. Mastering the Thumper takes time as it lacks the Long Tom's targeting computer, but the rapid rate of fire and nigh-infinite range allow it to repeatedly blast approaching enemies. The cannon can also be used at point blank, though its sustained damage-per-second is fairly mediocre. Three Free Tons at 8 shells per ton provide this Rommel with enormous fire power. Equipped with EOptics and BHP aid it in it's search for pry and enemy movement. Aided by LAMS, automated defense turrets that target and shoot down any enemy Missiles and Artillery in range. An often overlooked long range support tank, the B carries a Hyper-Velocity AutoCannon10, backed up by two MGs and single SRM6 for close range defence. The HVAC10 can harass units out to 950 meters with its screenshake, but once past 350 meters, the B can bring it's SRM6 to bear with even more cockpit shake. 3 free tons of ammo makes B last quite a while in the battle, its up to pilot what ammo to buy in dependance on what he plans to do. The "Comet" trades combat longevity for raw short range burst damage. It trades the AC20 and 1.5 tons of it's armor for a UAC20. Instead of a TBolt5, this variant brings an SRM4 to the field, for even more cockpit shake. The two Flamers are are brought into play as well. Pilots should keep in mind that their entire arsenal has a range of 0-350 meters, and care is required to not overheat the UAC20 or waste it's precious ammo. EOptics allows the Rommel C to survey the battlefield to better position itself before unleashing it's damage. Only 1 Free tons so plan your strategy according to the map. The second in your face brawler, the Rommel D can strip mechs down with lethal precision. An accurate LBX20 shotgun blast holes in enemy armor, while its SRM6 gives it screen-shake and and PDS some [BA|battlearmor]] defense. A pair of token SPL can lay down minor damage while its main cannon is reloading. The high ground speed and GECM makes it an excellent flanker, and allows it to maneuver behind enemies to strip out their engines. One Free Ton is available for ammo. This Rommel excels at cockpit kills. The "Easy Eight" is a fearsome mid range support unit, bringing a Heavy PPC into battle. 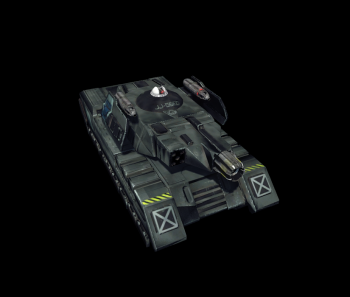 Able to do massive damage to nearly all of a light or medium asset, the E also excels at finishing off weaker enemies due to the heavy splash damage from the HPPC. 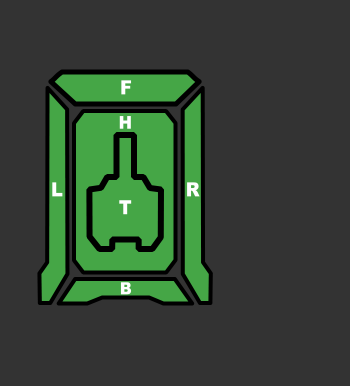 A single SSRM6 hammers additional splash damage into anything closer than 350 meters, and two ERSBL help deal with Battle Armor or to put additional pressure on damaged components. The long recharge rate of the HPPC demands precision targeting. While this variant does pack an additional Spare Ton of ammo for the Streak pack, it's three HS can't cope with sustained firing for very long. Pilots are advised to use cover to get the most out of this variant. Comparable to the Hollander A variant, "Firefly" trades the Hollander's speed for raw armor. The turret-mounted HGauss is immune to critical explosions making it significantly more durable than the Hollander, but it loses some firepower in that it only mounts two SBL compared to the Hollander's four. Two Free Tons are available for spare ammo, giving it a maximum of 18 shots. PDS will help dealing enemy BA. A long-range harassment unit, "Mickey" can be an infuriating enemy on open terrain with its array of accurate screenshaking weapons. A ERPPC and a trio of LRM5 allow it to sand the armor off enemies at long range with assistance of EOptics, while a pair of ERMBL gives it some mid-range punch. GECM allows it to move into position and slink away from battle without being detected. However, a dearth of heatsinks means that one must pull back to cool off after a few salvos. The Rommel was designed concurrently with the Patton in the early 3000s when Defiance Industries decided that a vehicle to replace 'Mechs was needed. Since 'Mech production was nearly at a standstill, the ability to produce and field armored vehicles became a necessity no Successor State could ignore. The strength of the Rommel is shown in its great urban warfare abilities. A Rommel may lie in wait down an alley or in other concealment, and then use its devastating armament to cripple or destroy a BattleMech. The main advantage the Rommel has over other, older designs is a combination of higher speed and more armor.